Stress can put your health at risk. So we want to do whatever we can to avoid it. Stress balls are a useful way to ease the minds of your clients. And one of the really great things about promotional stress balls is that they come in so many wonderful shapes. It’s easy to find one that will attract your customers and that will compliment your brand. 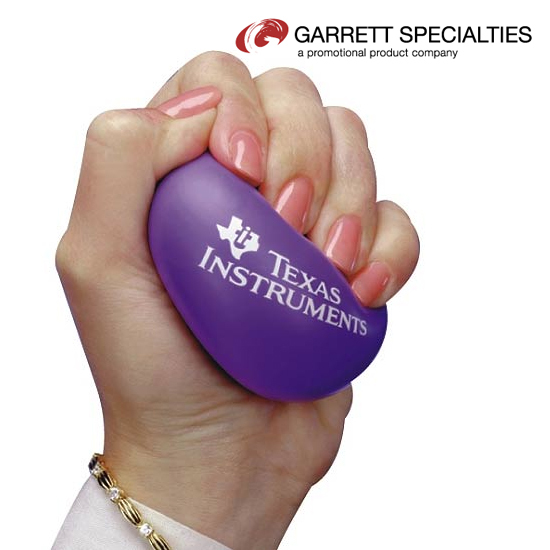 Browse our stress ball catalog to see all the fun shapes. Then read below about different ways you can manage stress with relievers and other practices. Take a break! Grab your imprinted stress ball and sit back and relax. Release all your negative energy into the stress ball. All you need is 5 to 15 minutes to reset your mind. Then get back to whatever it was that you were doing with better focus. Call a friend! Grab the phone in one hand and your stress reliever in the other. There is no better feeling than to be able to call a trusted friend and vent your emotions. Getting whatever is on your mind off your chest will help you lower your blood pressure and reduce stress. Take a walk! As you walk and toss your custom stress ball in the air, breathe in some nature. Escape the scene that is stressing you out and enjoy a little time absorbing some vitamin D. Images of nature trigger the calming parts of your brain. Have a snack! Take a minute and grab something to eat. Having a treat will help ease your mind and shift your focus for a little bit. Get some exercise! Exercise and release the tension in your hands with a squeezable, soft stress ball. Okay, maybe you’ll need a little more exercise than that. So get moving. Go for a walk, jog or do some yoga stretches. We hope that these tips will help you manage stress. Tell your clients how these ideas can work with them and give them an imprinted stress ball with your logo on it as a reminder.